Blog & Journal > Business > Marketing > Brand Reputation: Why is it important in the digital world? Millions of new businesses fail each year, making it incredibly difficult, time-consuming and daunting to try to create your own brand and make it a success. One thing that has both helped and hurt business owners is the online marketplace. Sure, it’s easier for you to reach your clientele without needing to rent an office space and deal with workers, but you’re also dealing with a lot more competition than you’ve ever had to handle in the past. However, when you have a good reputation for your online brand, it’ll be easier for you to grow as a company and earn the revenue you both need and want to stay afloat. Your brand is what has built your company and is what will continue to bring in customers who are interested in the products or services that you’re offering. If you have a good brand that offers high-quality products and services, you can expect to have a reputation that is superior to competitors. However, even the smallest things can taint your otherwise perfect reputation. This might include a bad review online written by a disgruntled customer or a complaint to the BBB that is causing you to lose ratings on this highly-trusted site. 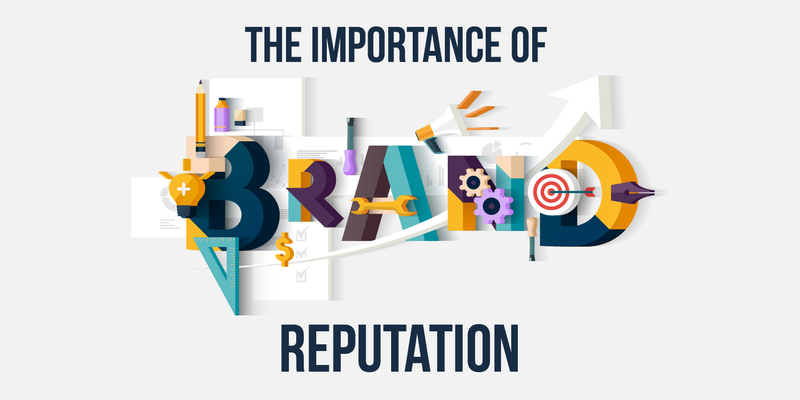 The reputation of your brand could mean the difference between being a true success as a business owner or having a company that is on the brink of failure. When your brand is reputable, more people will be willing to make use of your company. Think of your own experience with companies and consider two different options: one business has a good reputation with amazing reviews and the other has a bad reputation that causes you to feel unsure of what type of experience you’ll have with them. It’s obvious which one of these companies you’d choose when buying products or making use of a specific service. Because of this example, it’s easy to see why your brand needs to have a good reputation that will entice more and more people to come to you when they need what it is that you’re offering. A good reputation also means more money long-term, since you’ll be getting a lot of people who want to make use of your business. Enhancing your brand is a good way to improve its reputation and entice future customers to come and make use of the products and services you’re offering. One way that you can improve your reputation is by responding personally to negative reviews in a professional manner. The moment you start getting short with those who are reviewing your service, the quicker you’ll lose your good reputation. Instead, reply personally to negative reviews and ask what you can do in order to correct the situation. There are also many services that you can pay that will physically remove or outnumber the negative reviews with positive ones so that you have more positive reviews than negative. While this doesn’t necessarily get rid of the bag experiences customers have had, it does give you a chance to fight back and regrow the business in a way that is better for clientele. You can also ask your employees to give positive reviews on the job portals and review platforms to give a positive impact on the future prospects. Something that is almost the same as having a bad reputation is having no reputation at all. If you’re a brand new company, you need to work online to grow your brand and get people to notice what you’re offering. There are several ways for you to do this. One way is to optimize your site for search engines, making it easier for people to find you online. Next, you can and should make use of social media to market your business and get people interested in your brand. The reason your brand reputation is so important in the digital world is that it can make or break your company. Nowadays, a lot of people do research on a specific company, even if it’s physically-based before they make use of any business. Because of this, if your reputation online is lacking, or if you have a lot of negative reviews, you’re going to miss out on opportunities to sell because of what people are seeing on their computers, tablets or smartphones. Another aspect of internet branding is the competition, as there are probably dozens of companies just like your own that are competing with you to get people to buy their items. If your brand is failing and you’re afraid of losing all of the work and money you put into growing it, you need to improve its reputation online. Local-based reputation is fine, but if you get most of your customers from the internet, you’re going to want to work on marketing and advertising to get people interested in what you’re offering again. You also need to take a look at what is causing your reputation to fail. If it’s due to not having enough of a reputation, marketing and advertising are more than enough. However, if your reputation is lacking because of negative feedback, reviews and customer complaints, you need to respond to these issues personally and in a highly-professional manner so that people consider removing their reviews or trying your brand again. Because there are so many businesses online, it can be difficult to keep your company’s brand reputation at an all-time high. However, it is one of the most beneficial things that you can do for your company. After all, all business owners want to see their companies grow quickly and with as much positive feedback as is possible. There are a variety of ways for you to keep your brand reputation solid on the internet, even if you’re dealing with a lot of competition and are unsure of how you’re going to beat them. Make sure that you make your brand different from the others and handle feedback professionally as soon as possible.